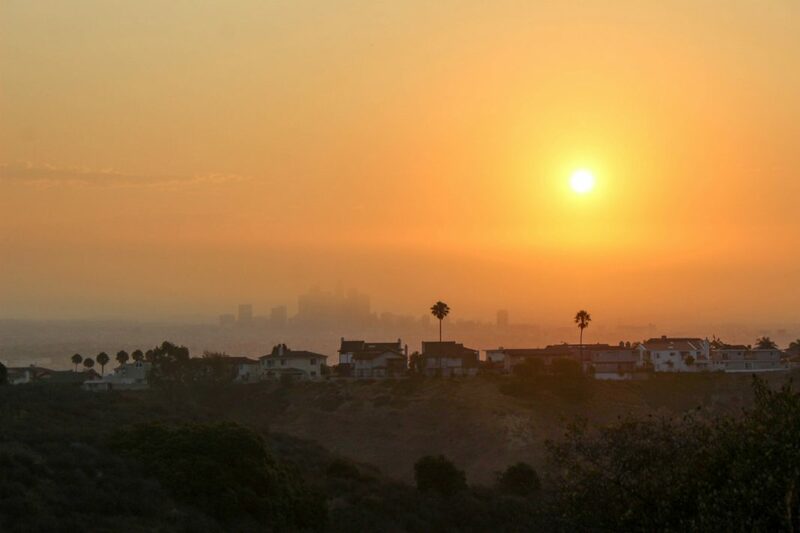 Why Is L.A.'s Air Quality So Bad in the Winter? Home Environment Why Is L.A.’s Air Quality So Bad in the Winter? Why Is L.A.’s Air Quality So Bad in the Winter? When a “mysterious haze” first enveloped downtown L.A. back in 1943, panicked residents thought the Japanese had bombed Santa Barbara. In fact, the thick stew of pollutants was something altogether new: a chemical reaction between car emissions and SoCal sunshine, which later came to be known as smog. These days, catalytic converters are more sophisticated affairs and most folks don’t burn trash in backyards incinerators, but noxious air—like Lindsay Lohan, Crocs, and boot-cut jeans—is still out here trying to be a “thing.” Last year, Southern California saw its longest streak of hazardous smog in decades. And while one would hope for a winter reprieve from the suffocating stench that blanketed the Southland during the recent wildfire season, cold air is apparently conspiring against us. This process is known as temperature inversion, and it’s why you might wake up on a random day in January or February and find the city bathed in a deathly pall. By contrast, summer smog is a result of VOCs and NOx gases being cooked together to create ozone, which can cause a hacking cough among those with asthma and other lung conditions. Wintertime particulate pollution is more likely to be a contributing factor in heart attacks and strokes, because of its ability to enter the bloodstream or cause inflammation, although scientists are still apparently confused about how the particles accomplish their bodily destruction. When the air is thick with smog during the winter, all the usual rules apply for sensitive groups that wish to exert themselves for prolonged periods in the great outdoors. And if you aren’t officially part of a “sensitive” group, but you’re still frantically checking the Purple Air website for your neighborhood’s exact level of particulate matter, you should probably just go ahead and invest in a new N95s mask. I mean, why the hell not?